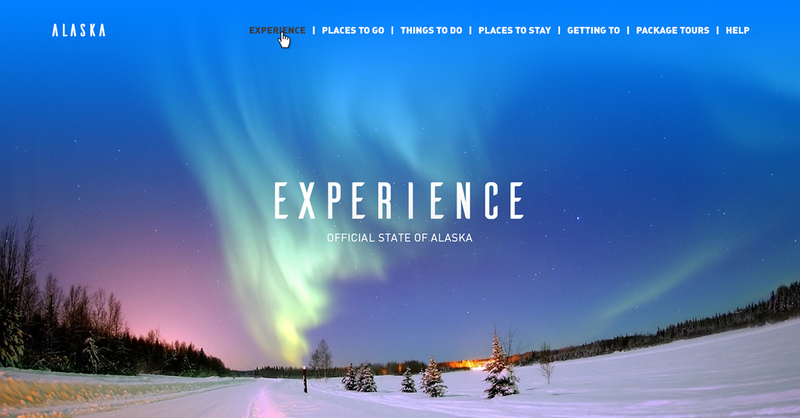 Alaska is my favorite land. 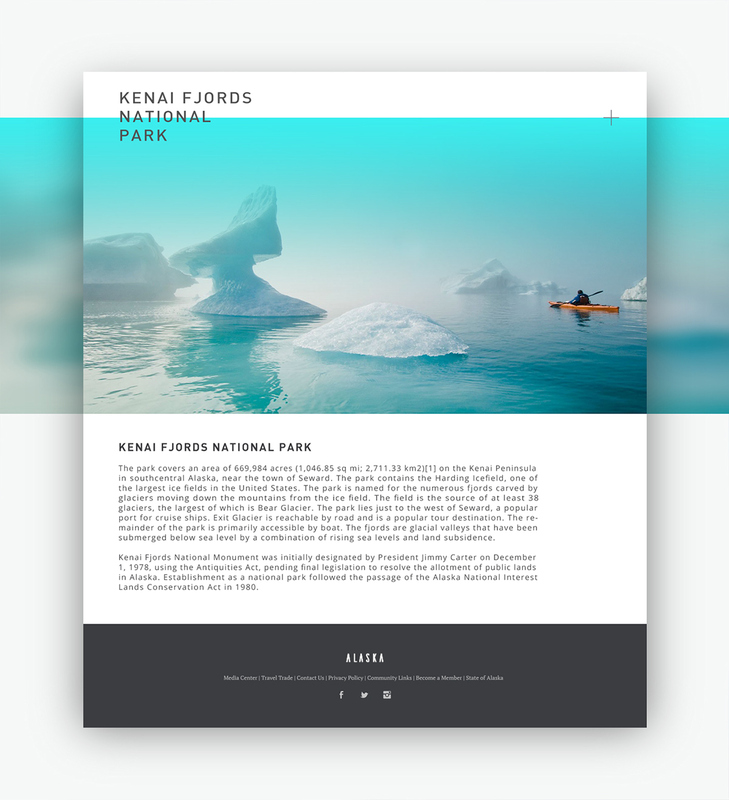 It is a magical place, where nature finds its highest expression and where a human being can find himself. 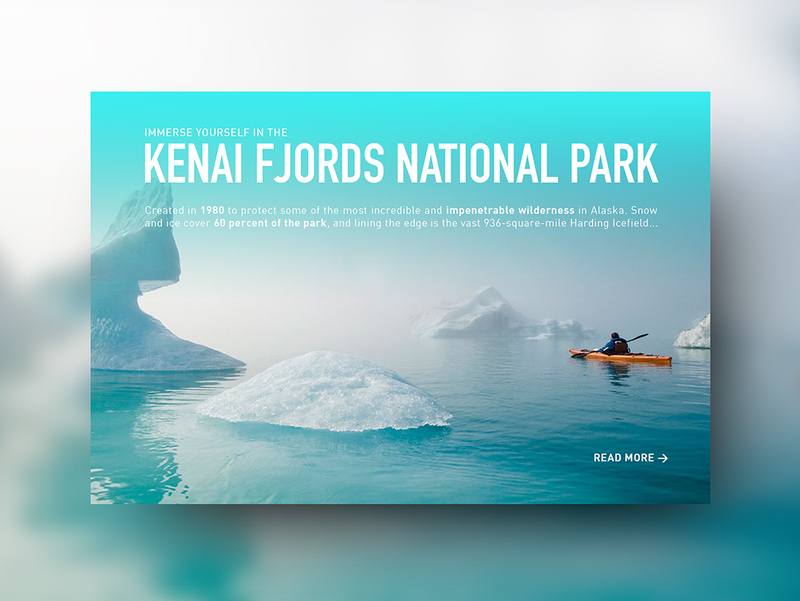 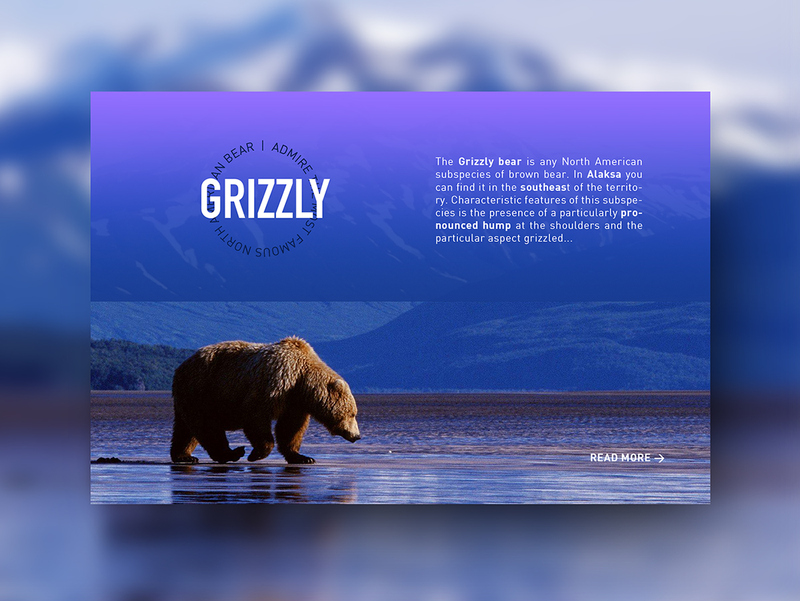 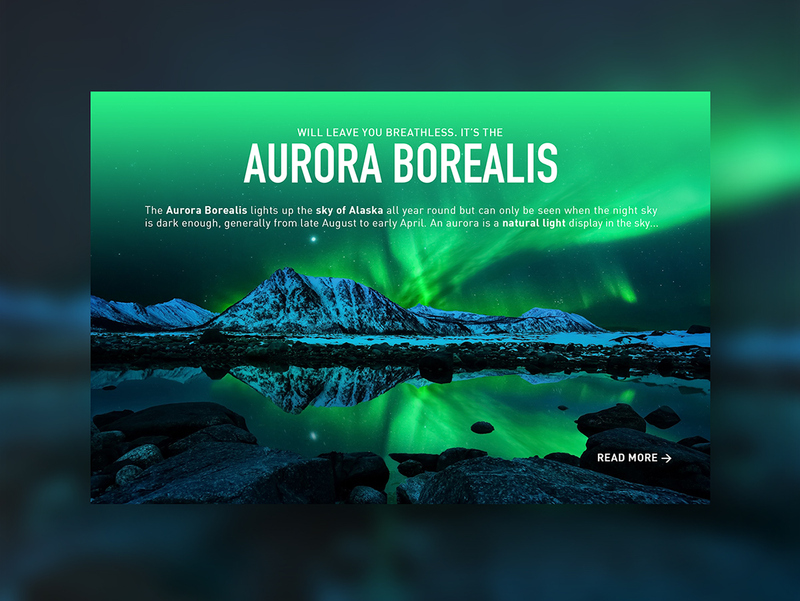 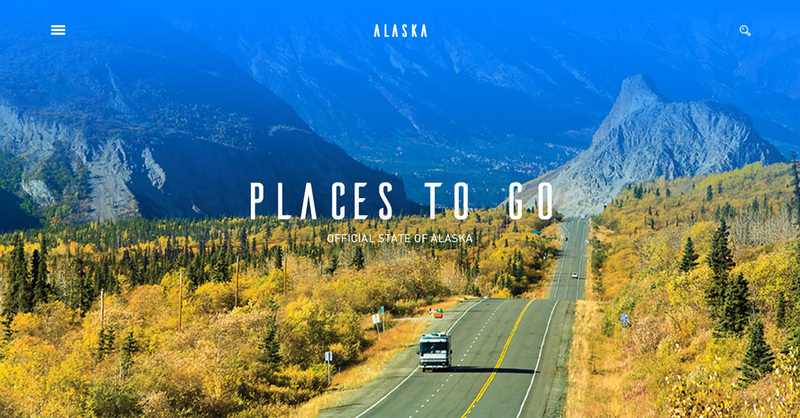 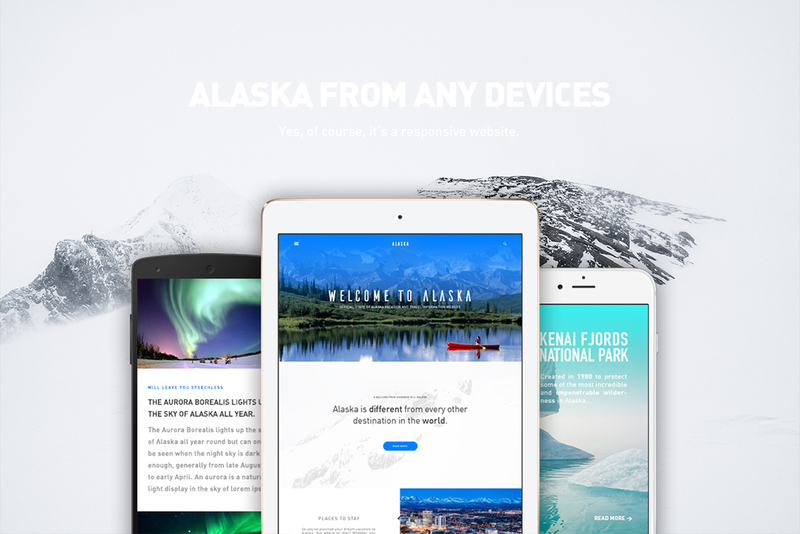 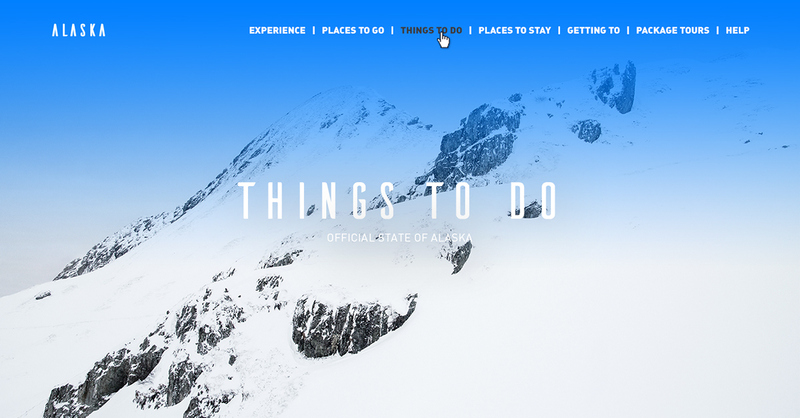 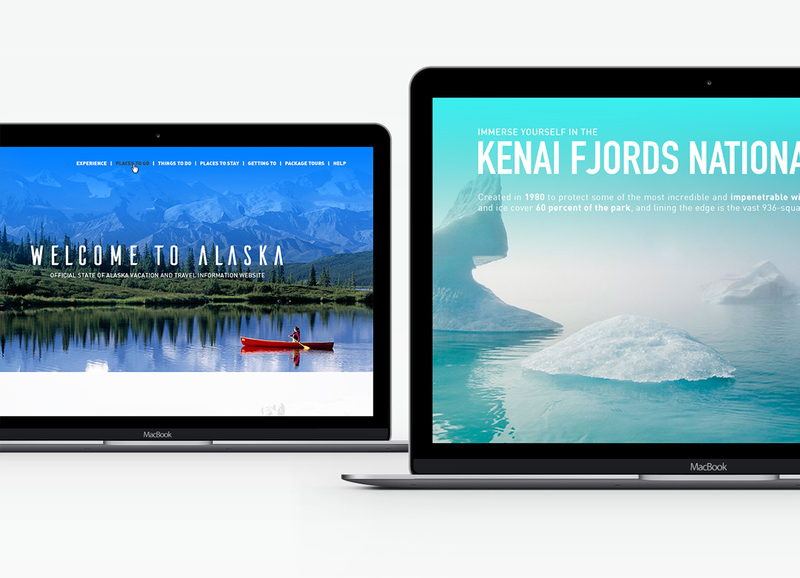 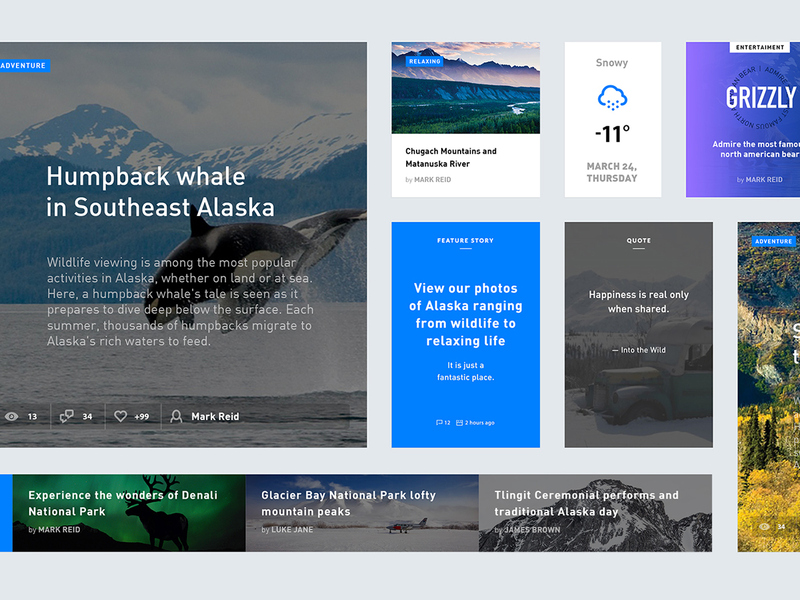 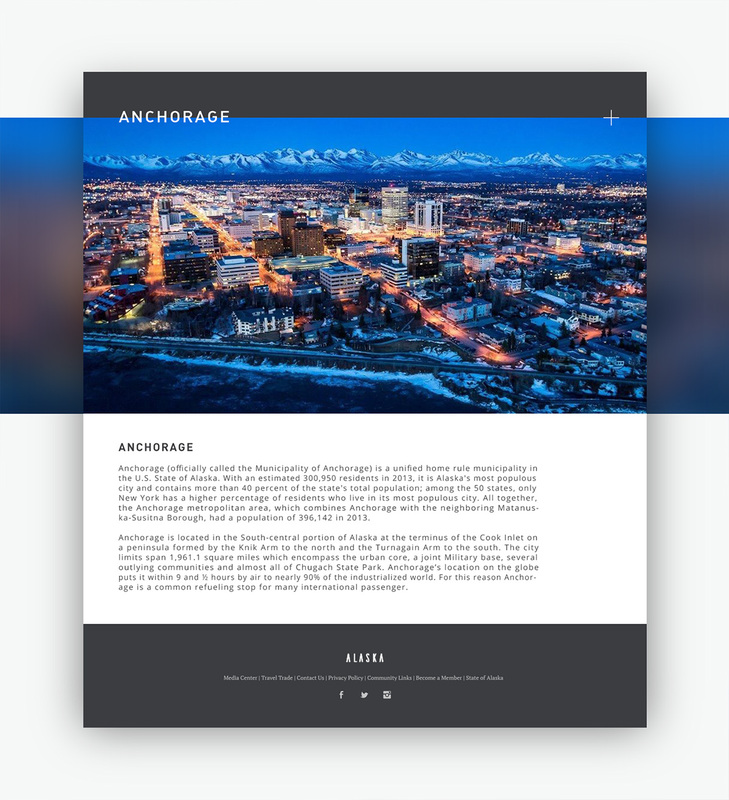 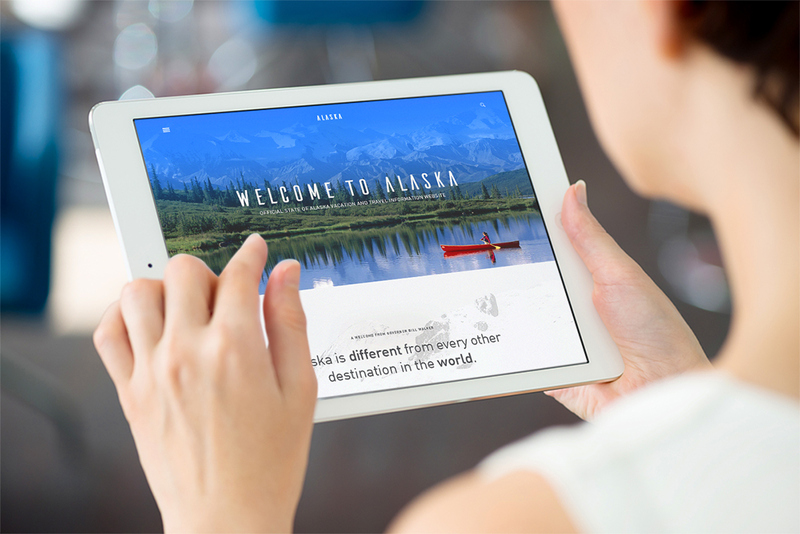 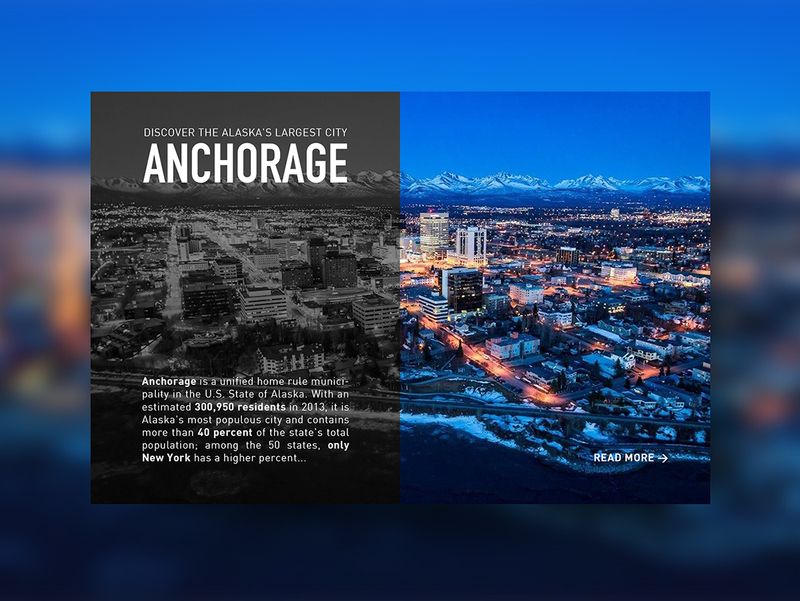 Some days ago, while I was watching the Official State of Alaska vacation and travel information website I felt the need to redesign it, including newsletters and web kit. 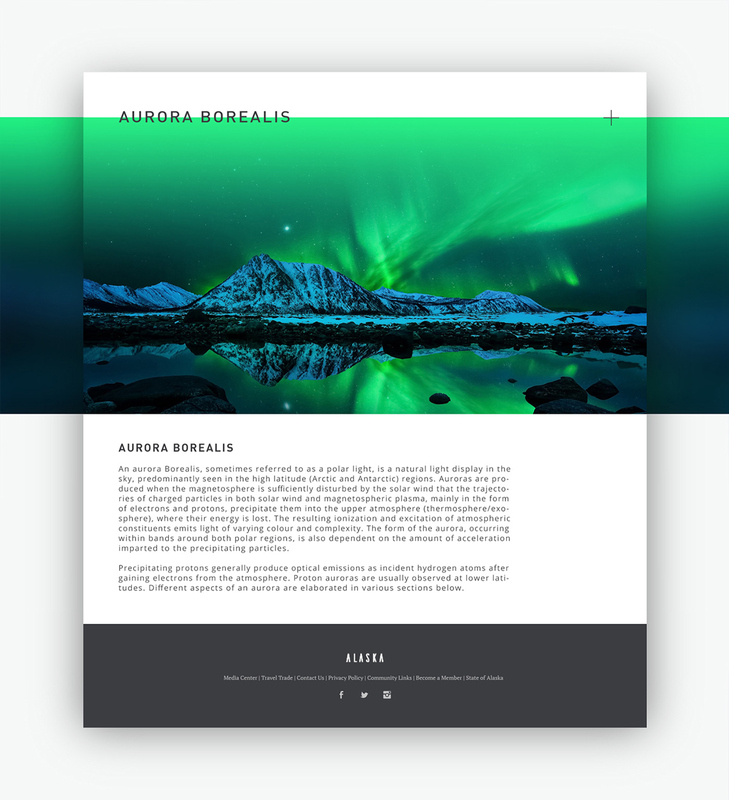 The shades of color, the simplicity of the layouts, the harmony of the shapes are a symbiosis between that land and my vision of design.